For 2019, we’ll offer our long-standing summer youth programs, including Confidence Camp/BELL and our 8-week residential program for high school and college-aged youth. But we’ll also offer shorter-term and more focused “modules”, describe below. For more information on our 2019 Summer Youth Programs, contact Martin Becerra-Miranda at 303-778-1130, ext. 2223, or mbecerra@cocenter.org. This two-week day program will be filled with learning, challenge and fun. Your child will meet competent blind role models who will work with the kids on cooking, cleaning, Braille, independent travel and technology. The kids will learn how to take the bus and use the light rail. They’ll have fun swimming, rock climbing, making a tactile art piece and going on exciting field trips. This eight-week residential program will change your life. You will live in an apartment with other students and a staff member. Learn about the world of work and meet blind people who work in all kinds of jobs. Challenge yourself through our program by participating in rock climbing, goalball, white water rafting and much more. Build your core skills in Braille, technology, home management and cane travel. Attend the convention of the National Federation of the Blind in Las Vegas, Nevada. Expand your skill set in STEM fields with hands-on experiments using accessible, nonvisual tools and strategies. College coming up soon? Learn what it takes to be successful, including how to navigate the unfamiliar new landscape of higher education. You will learn that being blind will not limit you from pursuing your dreams. Want a shorter training program? We offer three different modules throughout the summer that may fit your schedule and your interests. In all three modules, you will live in one of our apartments with other students and a counselor, and you will build your core skills in Braille, Technology, Home Management and Cane Travel classes. Challenge yourself with new experiences! You will travel the Denver Metro area via bus and light rail to meet with blind people who work in a variety of professions. Develop confidence and your own style for networking. Practice your interviewing skills and put together a resume and cover letter. Run in a 5K race, play goalball and hockey, learn self-defense, go canoeing, whitewater rafting and much more. Prepare delicious foods and learn about maintaining a nutritious diet. On the slower side try yoga, gymnastics and develop an exercise routine. 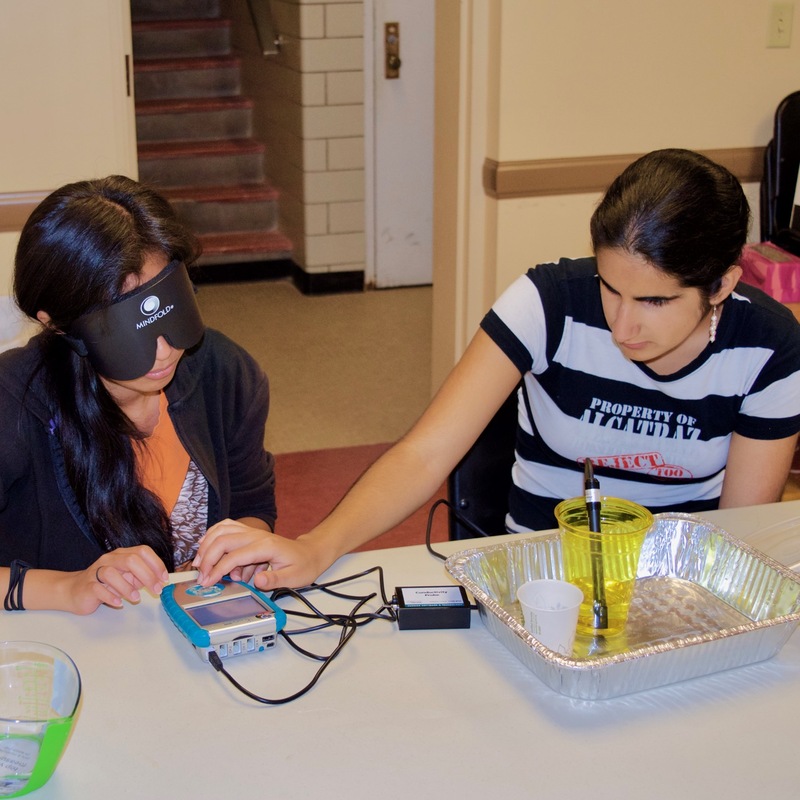 Develop the skills you need to be successful in college as a blind student. Expand your skill set with accessible tools and strategies for chemistry, biology, statistics, robotics and more. Practice self-advocacy and learn how to navigate the unfamiliar new landscape of higher education. The #Braille Blizzard Challenge in Littleton!